Are you looking for a fun way to raise money for your team, organization or special cause? We have exactly what you’re looking for. 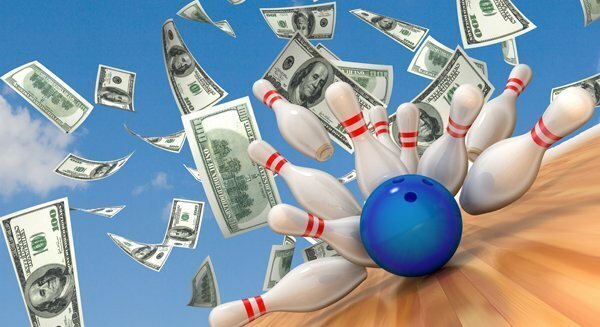 We’ve helped hundreds of groups raise thousands of dollars through bowling fundraisers, and we’d love to help you too. We have two types of packages. This option is super easy and does not require a lot of work on your part. We offer you a per game rate (based on the day and time of your event). The amount that you charge above that rate goes to your organization. The only thing you need to do is get the word out. This is a popular option for PTOs. This is our most popular fundraising package. This fundraiser is a two hour party and includes two hours of bowling, shoes, pizza and pop. You can put 5 to 6 bowlers on each lane. We charge you a per bowler price. You set a price above that, and the amount over our charge goes to your group. You can raise additional funds during your event by offering 50-50 drawings, basket raffles, and silent or live auctions. We’ve put together some helpful tips for improving the success of your fundraiser. Just click here to view these tips. Who has hosted a fundraiser at Pinz? Does this sound like a great idea for your organization? click below for more information or give us a call at 248-437-0700. We look forward to helping you meet and exceed your fundraising goals!